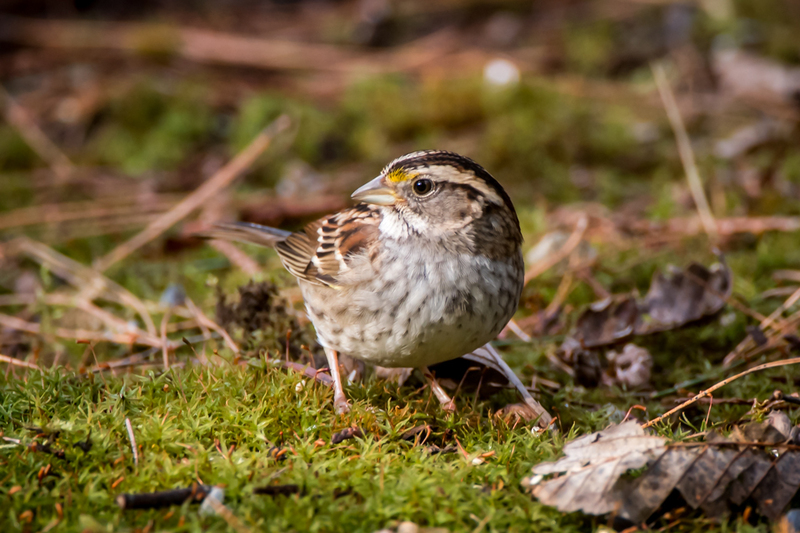 It’s not often we see a white-throated sparrow in the Puget Sound, as they tend to stick along the coast in California and Oregon. So I was excited to see one in my yard a few days ago. It keeps returning to a mossy area near our little ponds where I throw out bird seed and cracked corn (for the mallard ducks), so I’ve gotten close looks at this little beauty. It stays by itself, but it tends to come out from the brambles when the juncos are hanging out in the same area. It’s distinctive crown stripes were my first clue that this was not the typical sparrow species I’ve been seeing by the ponds, so I snapped away! 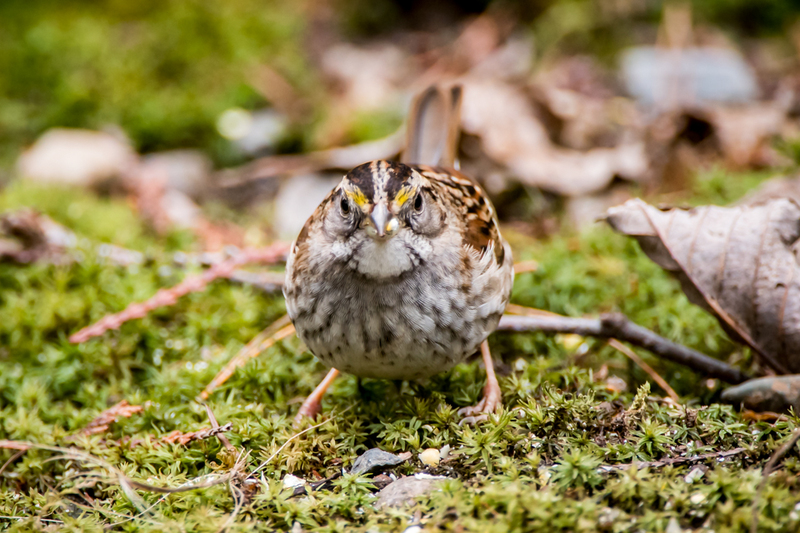 So glad I did, as when I looked more closely at my photos, I saw the yellow in front of the eye and the white throat to help me ID it as a white-throated sparrow. I’d be very happy if it sticks around for awhile! 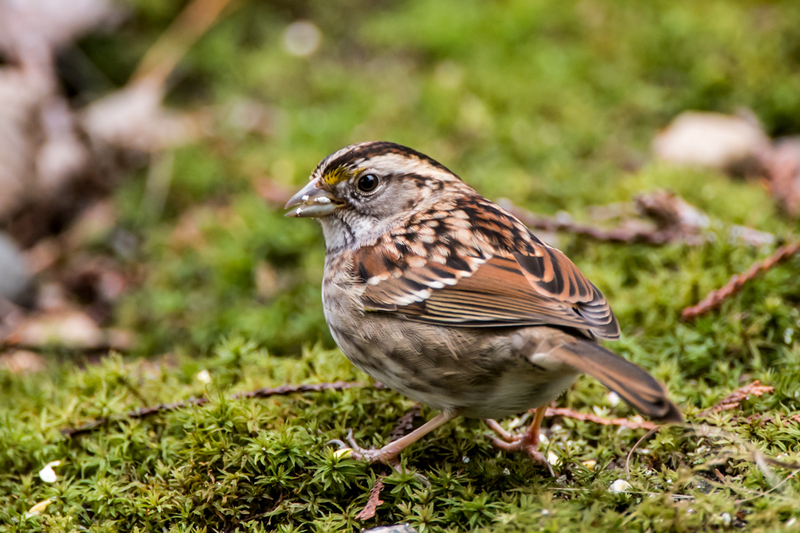 Its lightly streaked breast and white throat are the first clues as to its identity. The little yellow feathers in front of its eyes offer a further clue. Here’s a better view of its distinctive white throat.